If planting a clematis in the garden this season is on your to-do list, consider waiting until early to mid-autumn. The temperature of the soil in the upper layers is warm and moist which enables the roots to grow quickly and establish themselves before winter. 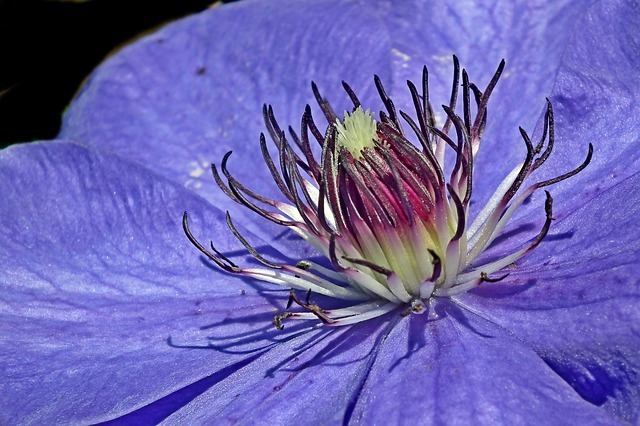 If you would prefer, the next best time for planting clematis is early to mid-spring. Lemon thyme is a variety to consider for the herb garden. Offering a slightly citrus flavor, add it to tomato soup, fish, and cream of vegetable soups. An easy-to-grow perennial bearing beautiful yellow flowers from spring to frost is Zinnia grandiflora Native Roots. Growing in a mound form only 5”-10” tall, zinnia grandiflora has fine gray-green foliage and is hardy in zones 4-9. Transplant to larger containers when first set of true leaves appear on vegetable seedlings. As soon as garlic and strawberry beds are showing sign of growth, remove half of the mulch covering. If the tops of onion seedlings are becoming floppy, shear them back. Attracting honey bees and a vast number of native bees, penstemon (Penstemon spp. ), sometimes referred to as beardtongues, are all excellent pollinator plants. Growing in sun to part shade, with flowers blooming white, pink, purple or red in the spring, summer or fall depending on the variety chosen. Penstemon is hardy in zones 3-9. Spread bulb fertilizer around sprouting bulb foliage. Providing nectar to bees, beetles, and butterflies, lead plant (Amorpha canescens) doesn’t need much room in the garden. Growing only 1’-3’ tall, its gray foliage is beautifully enhanced with spiked clusters of purple flowers. A summer-blooming shrub, lead plant is hardy in zones 2-9.